Her specialty is the study of the Daoist religion and Chinese long life practices. She has written and edited 35 books and over 100 articles, as well as translated works from the German, French, Chinese, and Japanese. 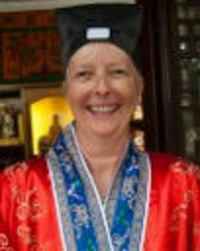 She retired from active teaching in 2006 and now lives in St. Petersburg, Florida, from where she continues to write books, serves as the executive editor of the Journal of Daoist Studies, and manages Three Pines Press, the Western voice of Daoism (www.threepinespress.com). In addition, she still serves on numerous committees and editorial boards, leads Daoist Qigong and Core Health workshops worldwide, and is the lead organizer of a series of major international conferences on Daoism, the latest of which took place at Boston University in May 2014 (http://sites.bu.edu/daoiststudies/). Her books include Taoist Meditation and Longevity Techniques (1989), Early Chinese Mysticism (1992), God of the Dao (1998), Daoism Handbook (2000), Monastic Life in Medieval Daoism (2003), Cosmos and Community (2004), Daoist Body Cultivation (2006), Meditation Works (2008), Sitting in Oblivion (2010), Daoist Dietetics (2010), A Source Book in Chinese Longevity (2012), and—most recently—Zhuangzi: Text and Context (2014). In terms of self-cultivation, she began practicing Taiji quan in the 1970s and dedicated herself to Vipassana Meditation for 20 years, beginning in 1981. She is also a certified instructor of Kripalu Yoga, Qigong, and Scottish Country Dancing. Most recently, she is a leading facilitator of Core Health and co-author of Core Health: The Quantum Way to Inner Power (2012) (www.corehealth.us). She has a Facebook presence and can be contacted directly at liviakohn@gmail.com.